Truth by Kbaig: Afresh Start of Baluchistan Insurgency and Traditional Marxists!!! Afresh Start of Baluchistan Insurgency and Traditional Marxists!!! Who is providing weapons to these Baloch insurgents? Baloch Separatists (Paid traitors in proper words) living in London, Geneva and New York have started their activities afresh after silence of few months. The main cause behind their silence was protest of Hazara tribes with the denial of burial of their loved ones for more than four days. They were demanding that control of Baluchistan should be handed over to Pakistan army. In the period of six months Hazara tribes belonging to Shiite sect were targeted twice through bomb blasts resulting in loss of innocent precious lives. After the tragic incidents of terrorism Hazara tribe protested on the road along with the dead bodies of their loved ones and demanded that they will not bury corpses until army takes over the control. The tragic aspect of the both bomb blasts is that neither govt representatives nor the opposition leaders were observed anywhere to offer condolences to protestors of Hazara tribe. Even the so called freedom leaders of Baluchistan living abroad at the cost of Indian terrorist agency RAW did not issue a statement condemning the terrorist attacks. This silence of so Baloch separatist has proven a serious blow to their anti-Pakistan stance. Perhaps this was the reason that they preferred to remain underground for sometime. This is not something unexpected; it has now be never been observed that these so called leaders and fighters of Baloch rights have ever condemned target killing in Baluchistan. Terming this silence of so called Baloch Freedom Fighters as suspicious a an American intellectual originally from Germany Richard Holman rights that due to the geographical importance and significance as a trade corridor for Central Asian states of Baluchistan it has become centre of foreign intervention from last 5 decades. This intervention could be ended only through the use of professional army on limited basis. However the silence of so called Baloch leaders on self exile on terrorist attacks upon Hazara tribes shows that there is some link between terrorists attacking Hazara tribe and separatists. 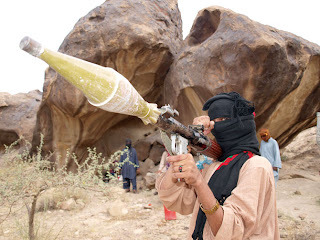 However this is a reality that the demand for deployment of army from within Baluchistan not only jolted the whole world but significantly unveiled the treacherous face of Baloch Liberation army (BLA) and propaganda of supporting powers of BLA Terrorists. According to this propaganda minds of international community were being brain washed that only Pakistan army is the cause behind the problems of Baluchistan from abduction to target killing and other terrorist activities. While in fact the public representatives have been all in all in provinces as well as Federal capital. But the propaganda of separatists, liberals and so called modern intellectuals is against Islamic ideology of Pakistan and Pakistan army to weaken and dismantle Pakistan. However on the one hand after long silence BLA terrorists have tried to prove their presence through blasting railways and gas pipelines while on the other hand from 30 March they are planning to stage protests in front of British Parliament, in other European capitals and plans are also underway for conducting seminars as well in the name resources of Baluchistan only for Baloch to gather attention of international community. However before writing anything on this topic it is important to mention the greatest award of Bangladesh by Bangladeshi Prime Minister to a Pakistani because now some so called intellectuals and foreign propagandists are making unsuccessful attempts to compare situation in Baluchistan with East Pakistan. According to the news from Bangladesh Professor Waris Mir (late) has been given this award as an appreciation for his propaganda columns written in support of Bangali’s and Sheikh Mujeeb, this should be also kept in mind that President Zardari has also bestowed him with “Hilal-e-Imtiaz” for his services to (yellow) journalism. Although the award from a President to citizen of his country is understandable but award of Hasina Wajid to a Pakistani is somewhat awkward and that also in such a situation when many elderly citizens of Bangladesh are behind the bars for struggling to protect their country in 1971 war. They are being tortured and sentenced to death under the allegations of treachery and whole Bangladesh is protesting against these extra-judicial killings. More than 197 people have been murdered by Bangladesh police in order to suppress these protests and even international community is now raising objections against revengeful politics of Hasina Wajid. Due to this was hoped that Hamid Mir will deny to receive award from Hasina Wajid but it did not happen. Moreover against the extra-judicial war tribunal and the punishments it has been awarding to elder citizens of Bangladesh neither a column nor a TV Program has been observed. This silence might have been need of the AMAN KI ASHA. 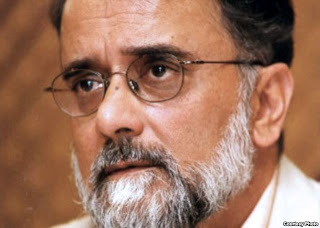 The reasons which have been forwarded by Asma Jahangir in her column for award to Waris Mir by Bangladeshi Mir, if we take these reasons as a standard than not only Waris Mir but some old followers and supporters of Karl Marx ideology should also be bestowed with Awards by Bangladeshi Prime Minister. Asma Jahangir is of the view that Waris Mir in contrast to old and extremist ideology of Islam followed by General Zia-ul-Haq was follower of modern Islam and human rights; so he challenged dictatorship of General Zia. These propagandists and agents of anti-Islamic powers have neither been able to resolve this complexity of this Modern Islam nor they have been able to differentiate between Old and Modern Islam. 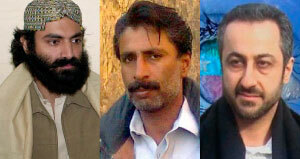 However if only terming Islam as extremism and propaganda against Pakistan army is the only standard to win award followers of Marx and flag bearers of leftist wing who formed a Study Circle in support of militants of Baloch Liberation Front; Ahmad Rasheed, Najam Sethi, Rashid Rehman and Asad Rehman deserve these awards more than Waris Mir. The detail of these great followers of Liberalism and enemy puppets is present on the website with the name of THE LONDON GROUP which is the result of research by Nadeem F. Paracha. 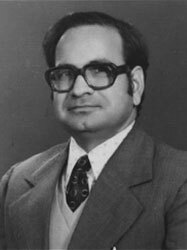 In order to bring a communist revolution and separate Baluchistan from Pakistan from 1969-70 out of those five belonging to The London Group who arrived Pakistan one was Ahmad Rasheed. He earned fame in the international media when his columns against Afghans resisting against attack of US and NATO were published in different English newspapers. Afterwards his books written on Talibanization and Taliban also earned a name for him because he presented the ideas that were needed by US and UK to deceive international community in order to reinforce their stay in Afghanistan.